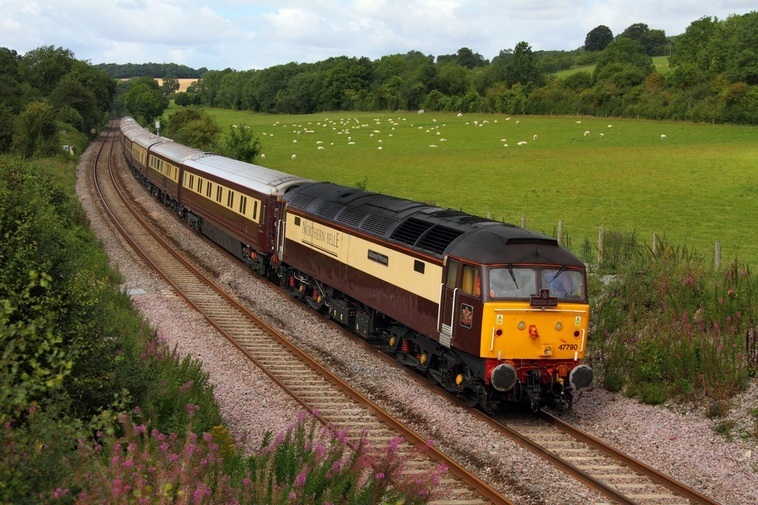 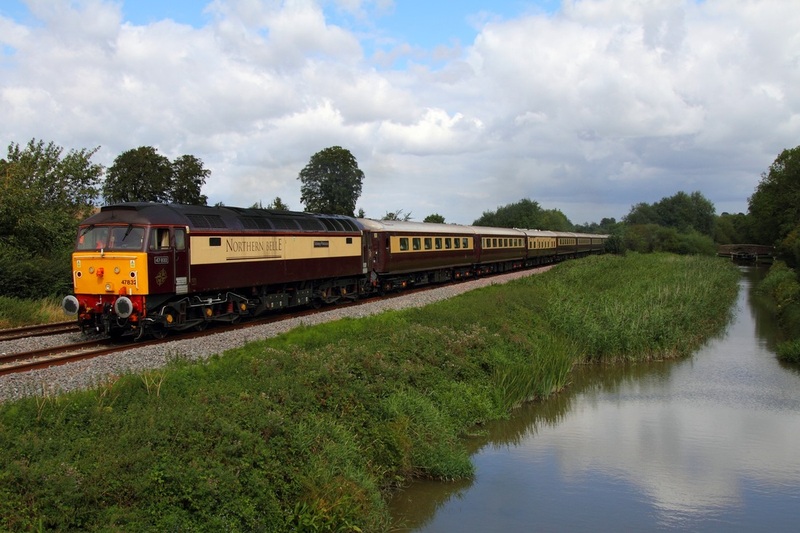 Northern Belle 47790 leads 47832 on the 1Z45 05:54 Derby to Newbury via Swindon, Bristol and Bath and is captured here passing the rural location of Shrivenham near Swindon on the 30th August 2012. 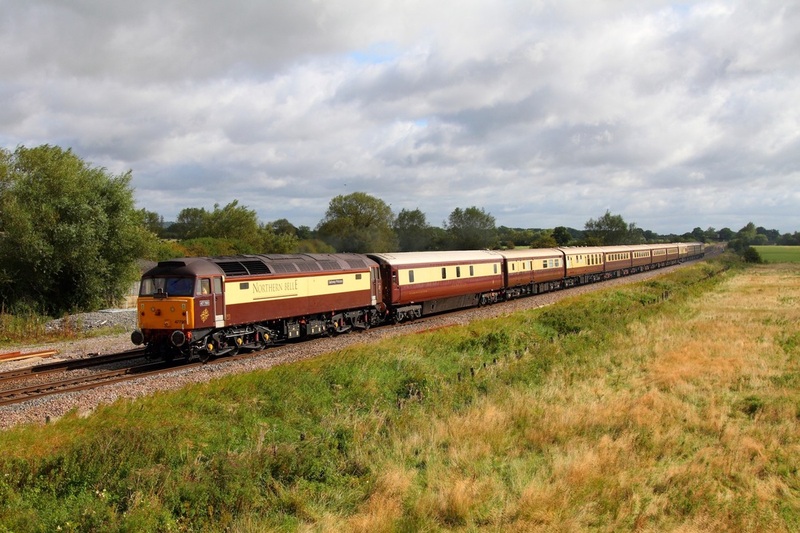 On the 30th August 2012, 47790 leads 47832 on the 1Z45 Derby to Newbury Northern Belle at Wolfall junction on the 30th August 2012. 47832 leads 47790 on the 5Z45 Newbury to Bristol Barton Hill Northern Belle at Crofton near Bedwyn on the 30th August 2012. 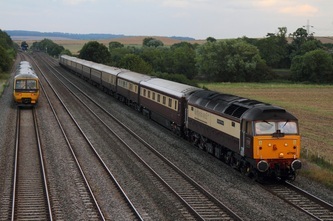 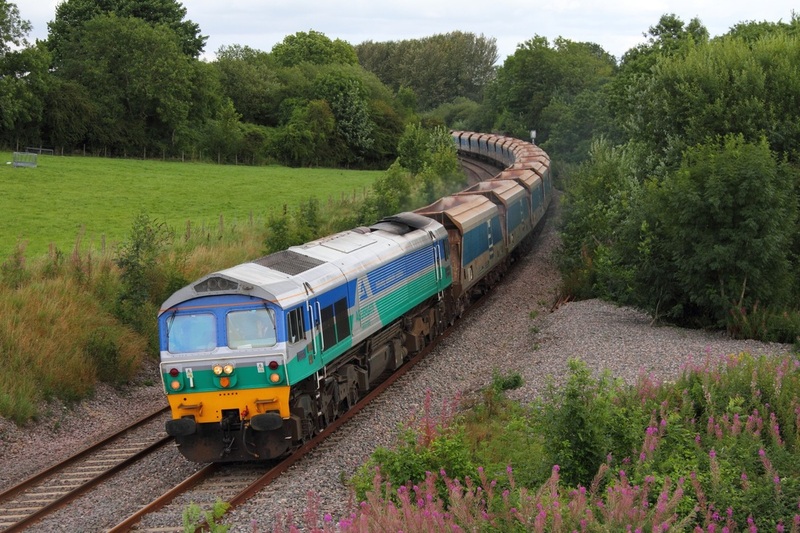 Hanson 59102 leads the 6L21 Whatley to Theale at Wolfall on the 30th August 2012. 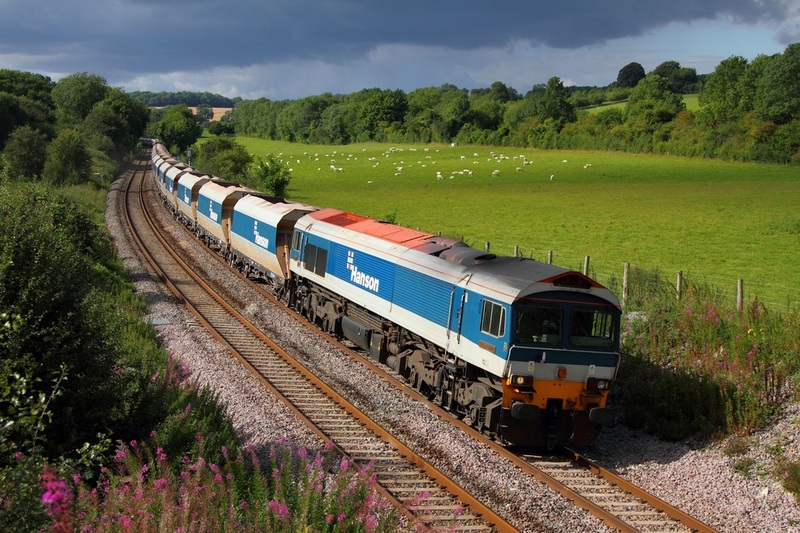 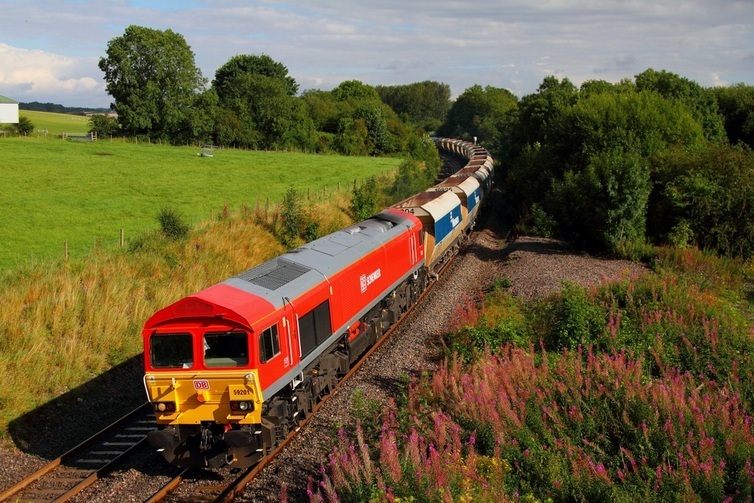 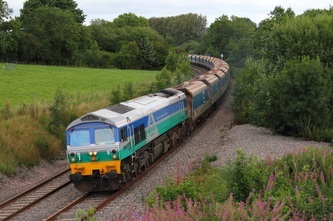 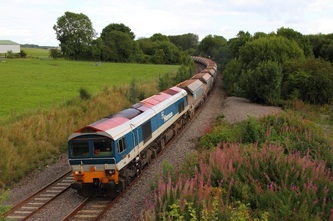 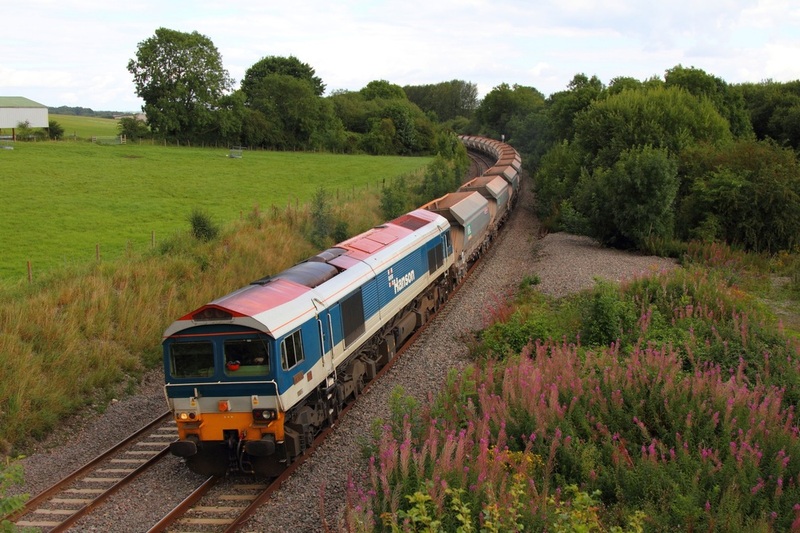 DB Schenker 59201 leads the 6C76 Acton Yard to Whatley at Wolfall junction on the 30th August 2012.